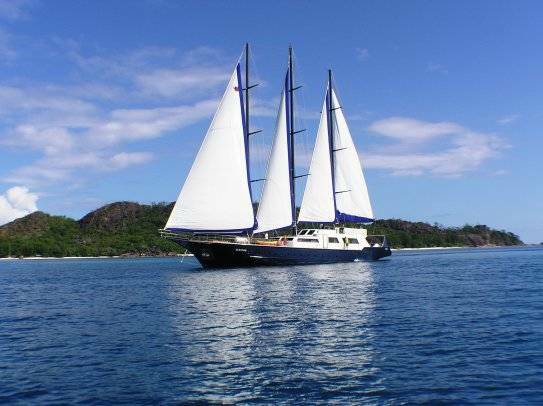 Discover the beauty of the Seychelles archipelago aboard these magnificent boats with a crew dedicated entirely for you. Boarding in Mahé Victoria Pier Inter Island Quay at 10.30am and landing of the cruise 8:30. 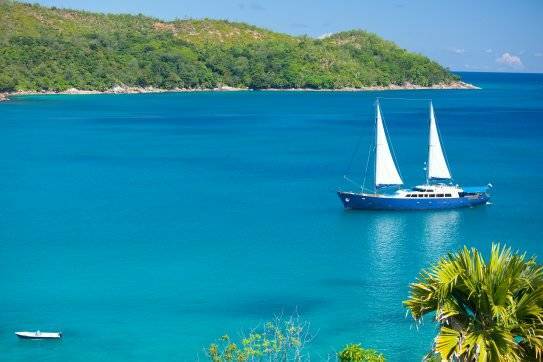 This cruise allow you to discover the island of Cousin bird sanctuary (WWF), the most famous granite islands , the main island Mahe with Beauvallon and reserve Marine Park and - Praslin and the Vallee de Mai - La Digue to be discovered by bike – Curieuse Island and its giant tortoises - Mahe. Embarkation at the Inter-Island Quay at 10.30hrs for official welcome and briefing by the captain. 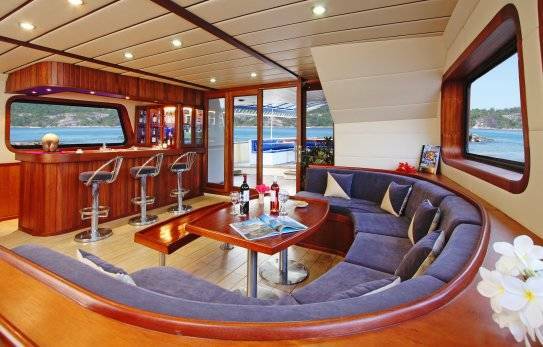 Depart from Port Victoria at 1200hrs, sailing up and around the scenic coastline of Mahe's northern peninsula, past the beautiful bay of Beau Vallon, and along the dramatic backdrop the northwestern coast of the island, with its opposing granite boulders, lush vegetation and striking blue water. In the evening, introduce yourself to Creole cuisine with a welcome barbecue onboard the vessel. 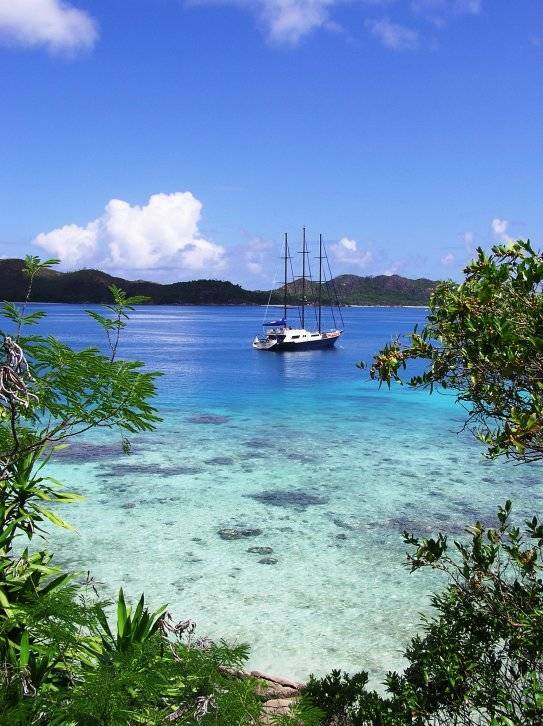 Sail to the beautiful Baie Ternay Marine Park and Nature Reserve on the western coast of Mahe, where calm, crystal clear waters provide opportunity for excellent snorkeling and diving during the day. 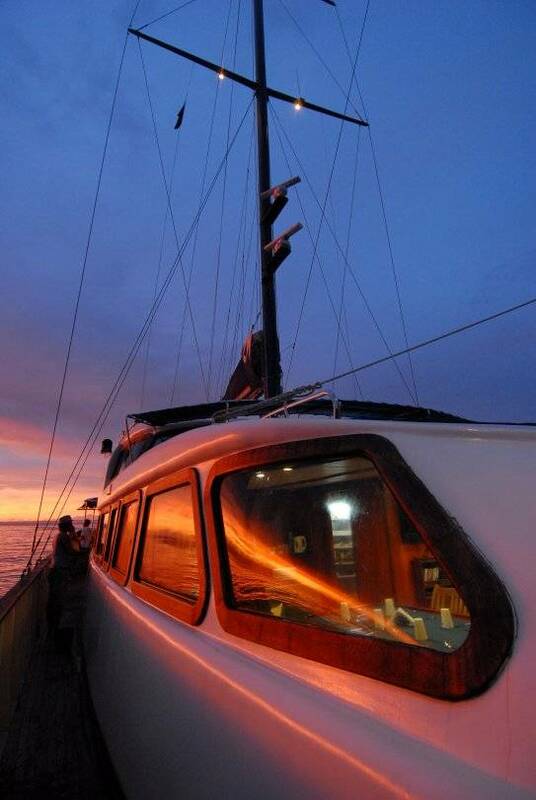 An afternoon sail back to Beau Vallon Bay positions the vessel one of the island's best places to watch the countless shades of pink and orange of a Seychelles sunset. Early morning sail towards Cousin island off the coast of Praslin, for morning visit of this strictly protected nature reserve, famed for its sea bird colonies and also as a sanctuary for Seychelles' rare endemic land birds and other native species. 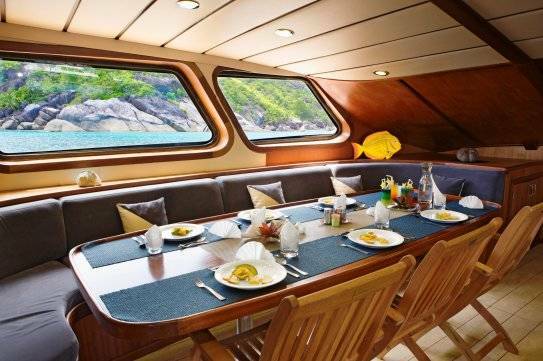 After lunch we sail to Praslin, for an afternoon of diving and water-sports. Opportunities to dive snorkel or enjoy other water sports. Morning navigation from Praslin Island to Curieuse Island and visit this island almost uninhabited island through the trails and mangrove. You will see the giant tortoise’s farm housing the largest turtles in the world from the Aldabra archipelago. You can see the historical ruins of the former leper colony. After a barbecue lunch on the island, enjoy a variety of water sports or treat yourself to relaxation on a beautiful beach in front of a turquoise sea. In the afternoon sailing to the picturesque island of St. Pierre. Saint Pierre is an excellent site for snorkelling (palm mask and snorkels) and diving, with all its nooks and crannies of granite rocks teeming with marine life. In the morning disembark at Curieuse for a visit of this virtually uninhabited island. Experience the island's vast mangrove forests and its giant tortoise farm, along with the historic ruins of this former leper colony. After a barbecue lunch on the island, enjoy an array of water sports or simply relax and enjoy the island's beautiful beach and turquoise waters. In the afternoon, sail towards the tiny, picturesque granite outcrop of St. Pierre. It is an excellent site for snorkeling and diving, with the nooks and crannies of its granite boulders teeming with marine life. 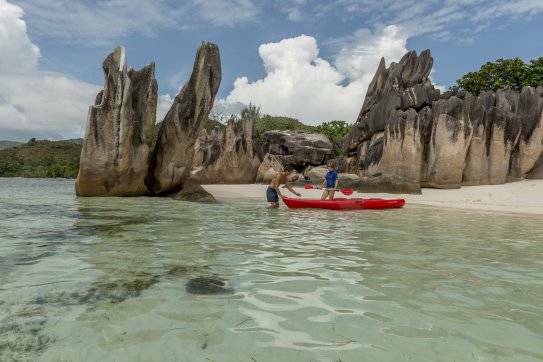 Sail to Anse Lazio, one of the most beautiful beaches of Praslin, and arguably, all of Seychelles- a perfect place for water-sports. After breakfast the vessel begins its sail towards Mahe, anchoring in the Ste Anne Marine National Park with its cluster of lush granite islands for an afternoon of water-sports and diving. Overnight at Ile Seche. Day 8 (Saturday): Inter Island Quay Landing at 8.30hrs . Your safety and comfort are our priority. In the case of unfavourable conditions, the route may be changed at the captain’s discretion. Think of a good protective cream, cap or hat and sunglasses. 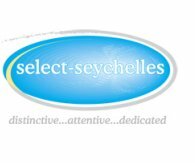 The climate in the Seychelles is tropical, generally warm and sunny throughout the year, reverb onboard may be significant. Think of suitable footwear for walking on deck and the beach and water. Some tours require a boarding & landing in shallow water from dinghies. 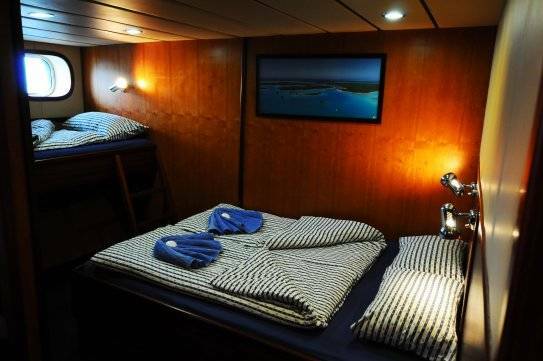 The cabin are equipped with air conditioning a large bed . Equipment for diving, bottom fishing and kayaks and stand-up paddle -board are available free of charge. Mineral water, soft drinks, beer , wine and spirits are available on board . Price list on request. TO NOTE: You must know you will have to pay aboard in cash € 182 per adult or€ 55 child which corresponds to ports taxes and landings as well as the excursions included in the cruise. Every day offer you a new opportunity to explore the secluded bays and coves, colourful marine parks, protected nature reserves or uninhabited islands. Identify the rare Magpie Robin and other endemic birds, visiting the UNESCO World Heritage Site of “Valley de Mai”, or lie alongside a giant tortoise are some of the many unique experiences that await you on the islands we visit. 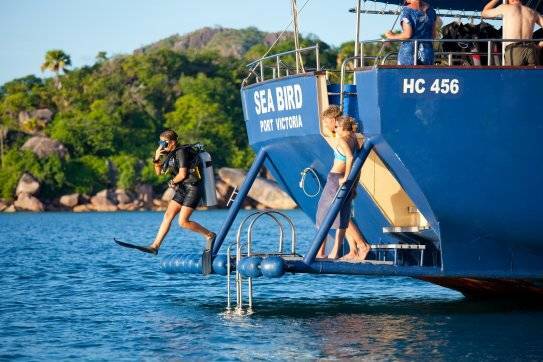 Other extras such as drinks and underwater dives are payable locally on board with the Secretariat of captain by credit card or in cash. Beneath the surface, the Seychelles hosts a magical underwater world. The corals adorn the granite rocks where tropical colourful schools of fish congregate and play under your eyes. 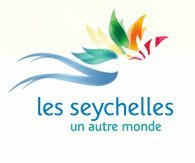 Most of the best dive sites in the Seychelles inner islands are easily accessible on our cruises . A Padi dive instructor is on board to meet the needs of experienced divers or beginners. Baptisms or PADI Open Water courses (or Advanced Open Water ) can be carried on board. 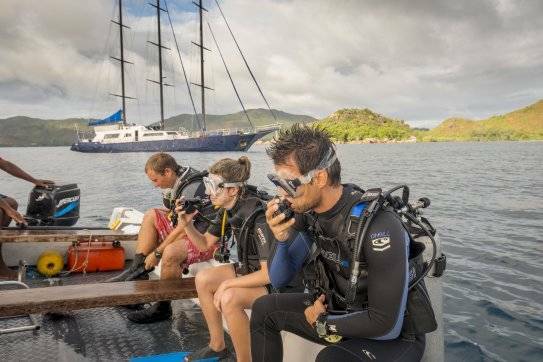 All boats are equipped with two diving compressors, 16 tanks, weights , suits ( shorties ) and 8 full diving sets for hire (guests are also invited to bring their own equipment). Our chefs use fresh ingredients creating a tantalizing blend of authentic Creole cuisine and international dishes. Each chef provides its own menu for each week cruise, encouraging diverse and creative designs for all meals for you savouring dishes with unforgettable flavours. Breakfast includes fresh fruit with preparations of our Chef , like eggs or pancakes , with toast , juice and tea / coffee . Buffets for lunch and dinner offer a culinary tour of the archipelago and its vast influence in Europe, Africa, South Asia and the Far East. Meals can be served in the dining room which is air conditioned or picnic style on the back deck. Our hostesses are always available to serve drinks from the bar , whether for a drink in the afternoon , an aperitif at sunset , or a glass of wine with dinner. However, to create an atmosphere in which our passengers may feel like on board at home, we also allow the self-service bar - guests are invited to serve drinks from the refrigerator and record their consumption to be added to the bar bill for the settlement at the end of the cruise. 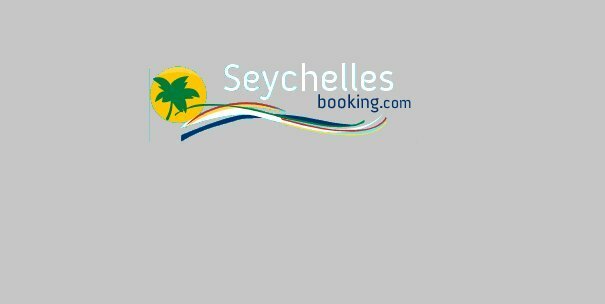 ** to - 15% discount for early booking on certain dates and following your booking date. 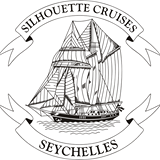 In case of cancellation fees will be billed directly by the following supplier:"Silhouette Cruises Ltd". Baby & Child Policy: Free baby under 2 years old. 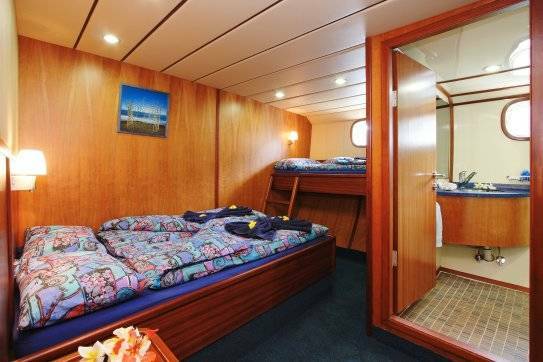 Child rate: maximum 1 child sharing parents' room excluding taxes for staying and landing 84 € payable on board in cash. Rate cabin Triple 3 adults (+12 years) possible but watch out for promiscuity! We recommend taking two cabins; a double cabin and an individual cabin!